Getting all the stakeholders of a destination to agree on ANYTHING is no small feat. 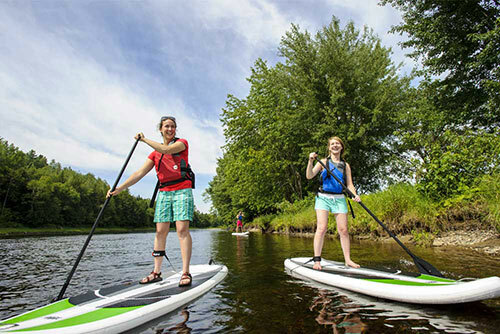 But the Miramichi River Tourism Association – with collaboration from tourism officials in the city of Miramichi and the province of New Brunswick – engaged Redpoint to increase visitor arrivals to the region, and our initial assessment uncovered a vital issue: the region was in a fragmented state of brand confusion. At the time, the region was using the positioning/tagline “Discover What We Know,” which is bland and vague. Since the lack of clear, strong branding would undermine any effort to increase visitor arrivals, we knew that step one had to be defining a regional tourism brand positioning…and then getting everyone in the region to agree on it. For a regional brand positioning to be successful and sustainable, it must be drawn organically from what already exists…the vibe, the culture, the landscape, the heritage, and the people. This is essential for two reasons: 1) the brand has to reflect reality, not some glossy aspirational image, or consumers will recognize and reject the disconnect, and 2) the stakeholders in the region won’t embrace the brand with pride if it feels disingenuous to them. Study: we did comprehensive audits of the digital and “in real life” circumstances of Miramichi by analyzing more than 60 websites and social channels, as well as on-the-ground elements…how do people find it, what keywords are they searching, what signage guides them, and more. We are now off and running on the region’s integrated tourism marketing strategy. That sound you hear is more champagne chilling in the background…we’re barely a year in and the region is literally humming with progress. We <3 Miramichi.